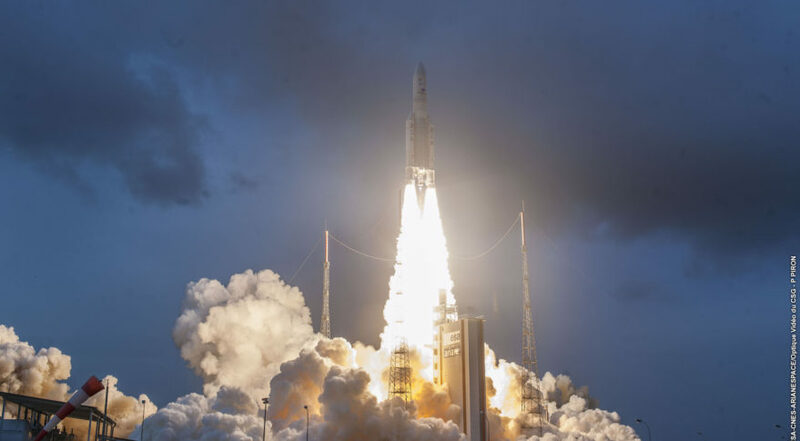 The launch is the first of five Ariane 5 missions planned for this year, each carrying two satellites. Credit: Arianespace. Updated Feb. 1 at 1:27 p.m. Eastern.